What are some of the top things we learned for fantasy football in Week 15 of the 2018 NFL season? Fantasy football is an ever-changing game, and what we thought was a sure thing a few weeks among might not ring true anymore. Below are seven things we learned from Week 15 of the 2018 fantasy football season. Goff threw for 339 yards — most among all quarterbacks this week — but gamescript explains most of that away, and he failed to find the end zone for the second straight week. 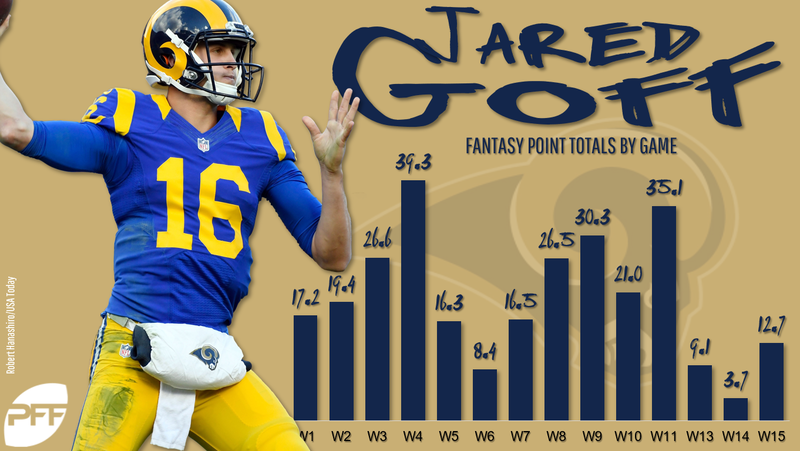 Goff now has fewer than 11 fantasy points in three straight weeks, right when everyone needs him most. The performance is even more confusing consider Goff had also been stellar at home, with lines of 413-4, 318-2, 295-3, and 465-5, 354-3, and 354-1 in his previous home games. He’s tough to trust next week on the road in Arizona, even though the matchup isn’t daunting (neither was the matchup against the Eagles at home). You could probably see this coming after his breakout Week 14 performance, but Henry was a workhorse monster in Week 15 against the Giants, tallying 170 yards and two scores on 33 attempts (!). The fact that the Giants didn’t score any points certainly helped Henry in terms of gamescript, but his usage — and performances — over the last two weeks indicate that he can finally be trusted as a flex option, or even an RB2. In his first game under a new offensive coordinator, Cook topped 20 touches for the first time since Week 1. He also scored his first rushing touchdown of the season (he scored twice) and set season-highs in rushing attempts (19) and yards (136). It was an all-around awesome performance, and now the Vikings are saying they want to ride Cook for the rest of the season. Just a few weeks ago, I used this space to say that Cook was scary to trust. That has completely changed. One week after carrying the ball an absurd 26 times, Mixon topped it with 27 attempts in Week 15. 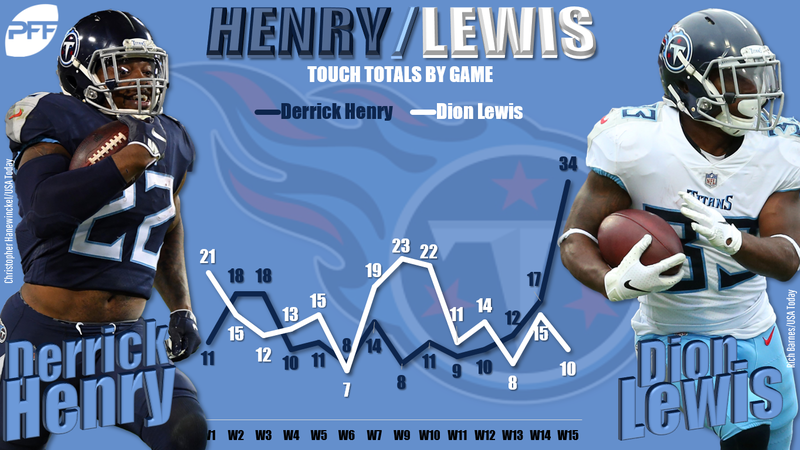 He added another two receptions through the air, bringing his two-game average to exactly 30 touches per game. That’s Ezekiel Elliott-esque usage, and as Cincinnati’s best offensive weapon, there’s no reason to expect him to slow down, especially with a great matchup against the Browns on tap in the fantasy championships. Jeffery started his season hot before cooling off to the point of near irrelevance in the middle of the season. But now he appears to be finishing hot, as he followed up his 6-50-1 Week 14 line with an 8-160-0 Week 15 performance. Jeffery — not Zach Ertz — was Nick Foles’ favorite target, and Jeffery appears to be a bankable flex option or WR2 down the stretch. 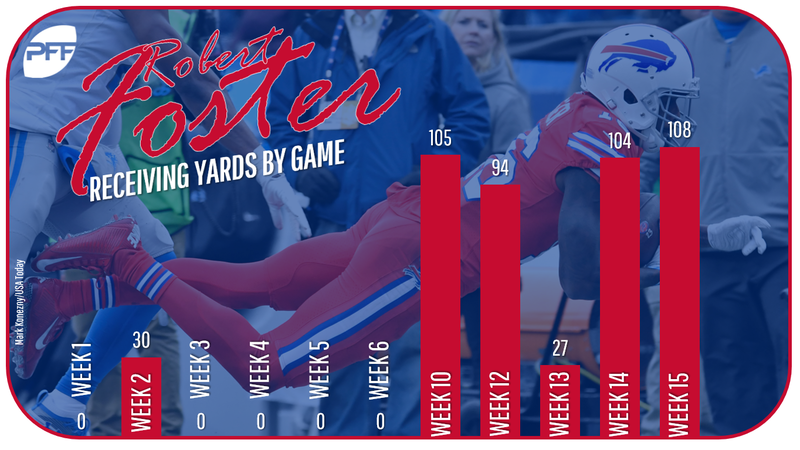 Foster’s 3-105-0 Week 10 performance truly came out of nowhere. Since then, he’s posted lines of 2-94-1, 7-104-0, and 4-108-1 (Week 15). So he’s topped 90 yards in four of his last five games and over 100 yards in three of his last five. The confusing part is that he’s only seen more than four targets once (he had seven in Week 14). Foster is an obvious regression candidate, but his big-play ability coupled with Josh Allen’s big arm certainly makes him an interesting flex play. Evan Engram is finishing strong … but how much of that has to do with Odell Beckham Jr. being on the sidelines? Through the Sunday games, Engram sits as the TE1 of Week 15 (albeit on an overall down week across the position). He nabbed eight of 12 targets for 75 yards. He now has 75 or more yards in two straight games; his previous season-high was 67 yards back in Week 2. 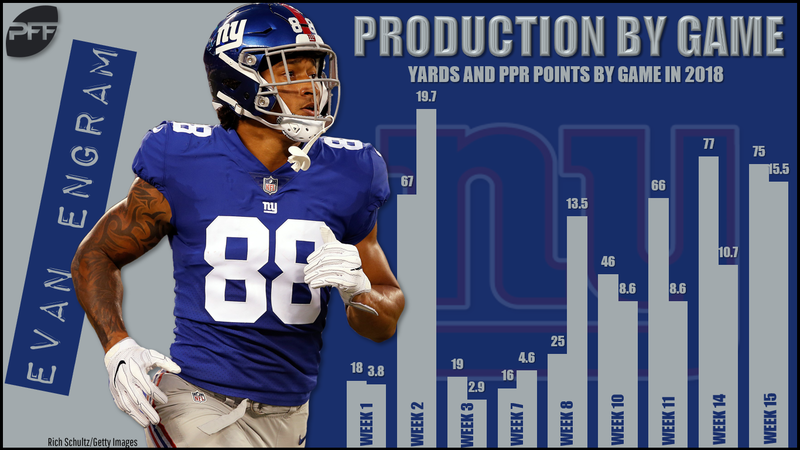 Engram has certainly not lived up to expectations during his sophomore season, but the heavy usage (12 targets is elite) and strong performances in these final weeks give us hope for the future. The obvious caveat is that these performances have come with OBJ sidelined; is there really enough for Engram to eat once Beckham is back?